Each year 13 million Americans visit the doctor for chronic back pain. While about 2.4 million are left chronically disabled, another 2.4 million are temporarily disabled. Back problems can affect the spine’s flexibility, stability and strength, causing pain, discomfort and stiffness. Before you resort to taking dangerous NSAIDS, relaxants and steroids, try this easy elixir and eliminate back pain naturally. For most, the cause of low back pain is unknown. But it inevitably comes from an injury, strain, lifting, twisting or bending. In some cases, often rare, low back pain can be a sign of infection, arthritis (including gout) or a tumor. Symptoms of low back pain may include tenderness, pain and stiffness in the lower back. Often the pain spreads to the buttocks or legs, and standing or sitting for long periods can be difficult. Additionally, legs may begin to feel weak and tired while walking. In most cases, back pain can improve with self-care. But without improvement, your doctor may prescribe medications such as nonsteroidal anti-inflammatory drugs (NSAIDs), muscle relaxants and steroids. Your doctor may even prescribe opiates for short-term use or a cortisone shot to help decrease inflammation. But here’s the problem: long-term and even short-term drugs often come with a plethora of unwanted side-effects. In 2007, the American Heart Association issued a warning regarding NSAIDs and the risks for developing ischemic heart disease. Ginger, unlike NSAIDS, actually soothes the stomach rather than cause upset. It may also reduce pain caused by inflammatory diseases. There is some evidence that ginger may help reduce pain from osteoarthritis. Research by the Miami Veterans Affairs Medical Center and the University of Miami included 261 people with osteoarthritis. Participants who took ginger extract twice daily had less pain and needed fewer pain-killing meds than those who received placebo. Natural pain relief is among the many health benefits of drinking lemon juice in water. Lemon juice can help reduce joint and muscle pain in the back. In addition, gout — a form of arthritis — happens because of a buildup of uric acid. Lemon juice helps dilute this acid, thus reducing the pain. Cayenne contains capsaicin, the active chemical responsible for giving cayenne pepper a spicy kick. Capsaicin is known to naturally alleviate pain. Capsaicin has been shown to reduce the amount of substance P, a chemical that carries pain messages to the brain. Less substance P means fewer pain messages reaching the brain. This means less pain is felt, according to Medical News Today. 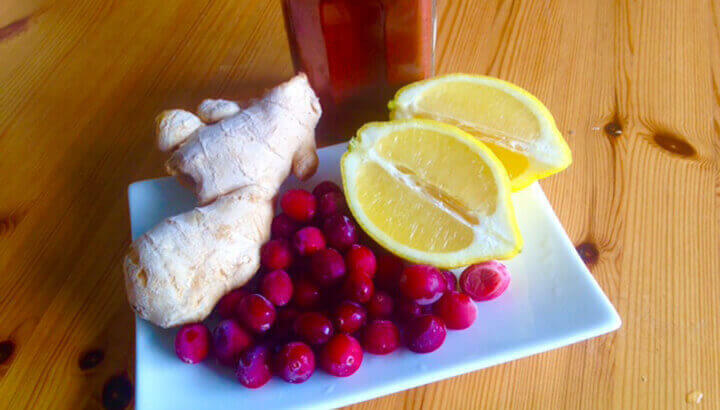 Cranberry extract can do a lot for lower back pain, particularly if an infection is behind it. Cranberries have a long history of maintaining the health of the urinary tract. 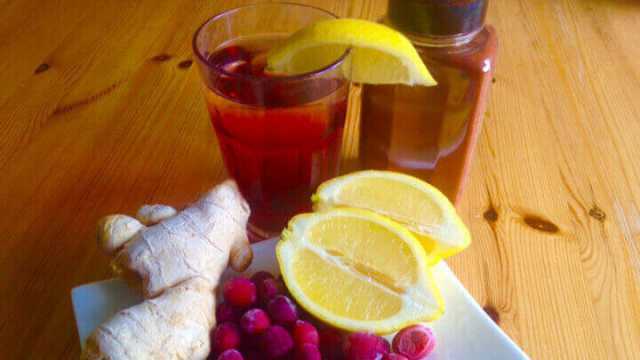 Cranberry juice has been widely used for the prevention, treatment and symptomatic relief of urinary tract infections. 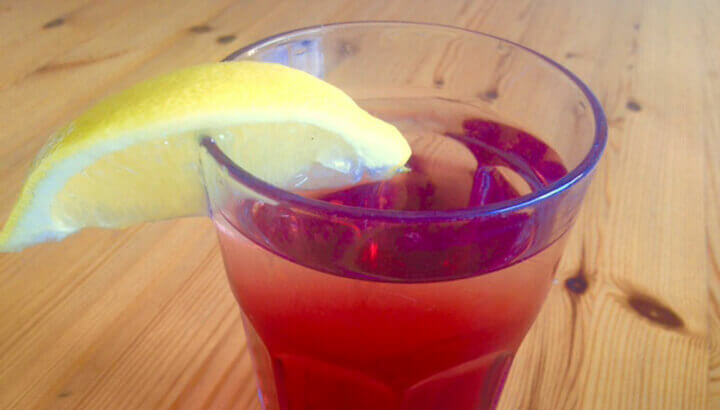 In fact, cranberry juice blocks bacteria from multiplying. A 2006 study suggests that people with early stages of rheumatoid arthritis may benefit from a high intake of cranberry. 1. Add all of the ingredients to a tall glass. 2. Top up the glass with cool, fresh and filtered water. 3. Drink this elixir throughout the day and alleviate your back pain quickly! Hey Buddy!, I found this information for you: "A 4-Ingredient Elixir That Can Eliminate Back Pain". Here is the website link: https://www.thealternativedaily.com/natural-elixir-to-eliminate-back-pain/. Thank you.